Floating University is set up by raumlaborberlin at the site of the former Tempelhof Airport Berlin as a visionary and temporary inner city offshore laboratory for collective, experimental learning. The site is an almost forgotten place in the center of Berlin: an old concrete rainwater basin next to the airfield with a landscape on the verge of disappearing. How can practices be adapted to the rapidly changing cities to keep the water affordable and abundant? These were one of the many questions raumIabor poses within their search to experiment with utopian water fantasies and re-envision an urban water infrastructure that invokes public participation. From April 2018 onwards gradually The Floating University campus was build up at Tempelhof test site with temporary structures like a discursive kitchen, a bar as a protest generator, classrooms for workshops and a performative laboratory tower for experimental water filtrations systems. Besides the nurturing of plants, mushrooms, mussels etc. the water of this system is reused and separated in four different types for experimentations: rain water, basin water, grey water and black water. Numerous universities and academies, INSIDE being one of them, were asked to participate in the Floating University campus to challenge the routines and habits of urban practices. In the 2nd semester the 1st years students prepared this workshop by a research on invisible systems in the city of The Hague, led by Gerjan Streng (design) and Anne Hoogewoning (theory). How are the residents of The Hague provided with energy, water, food and transportation modes? And how about the waste system? Complex systems are more vulnerable to deliberate and accidental corruption than we expect. After this investigation the students continued their research at the site of Tempelhof. The students visited the site for the first time in March when it was almost like a tabula rasa investigating temporary urban systems to rethink the city of the future, led by Junyuan Cheng (flows). They returned in June for a two week workshop led by Benjamin Foerster-Baldenius when the area already functioned like a self-organized community. Within this lively community opening up to the public and professionals, the students presented their projects on corrupted systems and utopian models within the setting of a symbiotic Nation. How would a utopian society on the site look like and how are its inhabitants provided with energy, water, mobility, food and take care of waste? For a full report of Studio Corrupted Space please read our INSIDE magazine 1718, page 28-42. In the first semester 9 INSIDE students worked on the revisualisation of Fort Noorddijk in Hellevoetsluis. Together with Benjamin Foerster-Baldenius from Raumlaborberlin they researched the purpose of Fort Noorddijk in the past and in the present. They visited the fort and the surrounding area, the city of Hellevoetsluis and Brielle. They combined their thoughts into 14 proposals for the future of Fort Noorddijk, ranging from a Bat Museum to a wellness resort. The students presented their proposals to the staff of Erfgoedhuis Zuid-Holland on the 11th of November in the Meisjeshuis in Delft. Braambergen is a ‘Landfill site’ in Almere, owned by Afvalzorg Nederland, that is ready for being re-used in a recreational function. INSIDE – the master of interior architecture at the Royal Academy of Art The Hague, researched for and with Afvalzorg the possibilities for starting up the recreational use by creating a ‘spatial intervention’ based on an exploration of phenomena in the surrounding landscapes, functions and inhabitants. We ended our project with a one-day initiative on the location where students built one-to-one interventions and created a programme to invite inhabitants to join. These ‘spatial interventions’ were part of an ‘open day’ on june 10/11 2016 where inhabitants of Almere were invited to get to know the Braambergen site and experience its qualities and potentials. Other participants, like site-owner Afvalzorg, Almere municipality, Staatsbosbeheer, Energy stakeholders of Flevoland, presented their proposals, thoughts and options on site on this day. In this way the ‘EMBRACE BRAAMBERGEN DAY’ built a stage for meeting and exchanging thoughts and experiences on the future of Braambergen. The Braambergen site is surrounded by the Dutch polder landscape. This newland on the former bottom of the Zuydersea, has succeeded in gathering unique phenomena. In the direct surroundings of Braambergen you can find many dutch perspectives on urbanization since 1970, from ‘cauliflower’ urban areas in Almere-Haven up to the future of do-it-yourself urbanization in Oosterwold. Directly next to Braambergen is one of the most succesful landart works that were realised in the 70-ies as pioneers of the urbanization to come. What is unique about Almere is this phase of her development. Now the time that all new developments can be easily realised next to eachother because of the abundance of space has ended. New developments will have an effect on the existing city landscape. The re-use of the Braambergen site is an invitation to create new synergy of functions and in doing so causing a new phase of the polder for acquiring history. On June 10 and 11 in 2016 INSIDE students realised their ‘inviting interventions’ as a proof of the shortterm possibilities for opening the site to the people of Almere. At the entrance valley you first had to pass a 90 meters wide curtain. After that you could view the exhibition with the future perspectives on the site made by INSIDE students and landscape architecture students from Larenstein aswell as Afvalzorg, the city of Almere and the State Forest Management. From the exhibition you could see the balcony that was built on the highest point on the site offering relaxation possibilities with old furniture. From the balcony you could oversee the whole site where the 60 meters long table made of waste wood would immediately catch your attention. All interventions were built using only waste materials from the immediate vicinity. During the FLOWS introduction programme students prepared the conditions to start an enterprise at The Binckhorst, turning local (organic) waste streams into valuable products for the local market. B-inc is a cyclifier that will grow over time. We will start small, with the main activities of selling mushroom kits, beer-bread and mushroom/bread dishes for catering. We are going to design and build a flexible space that can be dismantled and dislocated when needed. The design could be seen as a ‘mechanism’ that transforms an empty building into B-inc and gives it the identity that we aim for. Flexibility is needed because we will slowly grow and expand as a business, and therefore it is rather likely that we will have to move to different locations in the future. Furthermore we think that B-inc should be flexible because that way we can respond best to our environment, stakeholders and customers. The visual identity of the enterprise already started to take shape in the introduction week, with a logo, website and other graphics. With the design of the space we will take this further into reality. water, electricity, and utilities, what needs to be changed to the existing place. harvesting local materials that can be reused, thinking of a design for disassembly, connections, etc. what goes where and why, looking at existing place. Styling: visual identity applied to the space. Binckhorst is an industrial area in The Hague. To this day, the site has been dominated by the graphic, construction, and automotive industries. Recent years many companies have been dislocated, resulting in high vacancy of both small industrial buildings and large offices. Due to the vast amount of inexpensive spaces, in recent years many artists and creative people have moved into the area. Slowly is growing a new mix of old and new users who mutually inspire each other. This creates new and surprising opportunities for business and for development of the area. In early 2014 Superuse Studios made a quick scan of the area, to identify where (material)flows are lost or where flows are underused. Simultaneously, stakeholders who might benefit from these waste streams were interviewed. As a start, this has led to an interesting collaboration between a baker and brewer. The waste grain from the brewing process can be used as raw material for bread from the baker. excellent breeding ground for mushroom cultivation and a local mushroom grower could start to make use of it. Studio Urban is this year concentrating on the center of Rotterdam. The city’s center consists of a variety of distinct shopping street typologies from various periods in history. One good example is the ‘Lijnbaan’, which was designed in 1948 and formed the basis of the reconstruction of the city center after it was erased by bombardments during the Second Worldwar. The ‘Lijnbaan’ was the first shoppingstreet designed for pedestrians-only in Europe. This unique urban quality in combination of modernistic design elements became the prototype of new shopping streets throughout the world. Over the years, many more shopping streets were developed in Rotterdam. During the nineties, nearly fifty years after the Lijnbaan project, the ‘Beurstraverse’ (or ‘koopgoot’) was constructed. It is a popular and busy shopping area, designed with the ambition to modernise the center of Rotterdam. The main design features of this project are the facade cladding and ornaments, consisting of a repetoire of retro-style design features which seem misplaced in the Rotterdam context. In addition to the large projects also small-scale shopping streets, like de Meent and de Witte the Withstraat, have been uplifted during the past years. Located at the perifery of the main shopping activities which are dominated by the large chains, they provide the necessary variety in shop repetoire with small and unique shops and boutiques. Altogether the city center in Rotterdam is lively, diverse and seems not to suffer from the competition of malls and XXL stores at the perimeter of the city. Interests and consumer patterns of shoppers is changing over time. It is important for a city center to continue investing in order to maintain an attractive and bespoke destination. In contrary to other large dutch cities Rotterdam cannot benefit from the aura of an historical city center. In the case of Rotterdam this can actually be considered an opportunity, as the lack of sentiment provides an environment with the necessary willingness to experiment with new typologies of public space in the city center. The development of the ‘Lijnbaan’ as an international typology for shopping streets is examplar for this attitude. In the Studio URBAN we work on the design of new public spaces in the Rotterdam, which shall contribute to the overall quality of the city center. In the spirit of Rotterdam we expect that the design will be based on new ideas and innovativetypologies. At the same time the projects should also provide proposals which relate to the current needs of the commercial investors. The location we have selected for the project is the ‘Forum’, a new development designed by OMA for Multi Vastgoed, containing a program of mixed functions around large central spaces linking all main shopping streets of Rotterdam; de Lijnbaan, Beurstraverse, Coolsingel and de Oude Binnenweg. This much debated building and its adjacent context can form an interesting and realistic background for a discourse on the design of public spaces in the city of today. The traditional European city, as shown so marvellously in the Nolli map of Rome, is a finely-tuned construct of private and public space: public and private as mould and counter-mould. To put it more strongly, the public sphere was a democratic construct that was expressed through the public mould. Nolli’s map does not take the limits of buildings, the building line, as a definition of the private sphere, but includes the semi-public interior, such as lobbies, theatres, passages, and churches. Now, centuries later, we can still make the same maps of Rome, but the significance of the black and white on the map has gradually changed over time. More and more, what is defined as ‘private’ also belongs to the public sphere, through the influence of the media. The public space, on the other hand, is more and more subject to private interests such as scrutiny and commerce. In all cases, the living world is ‘internalized’, or becomes part of a ‘system of controlled capsules’, as Lieven de Cauter describes in his ‘Capsular civilization’. The spatial features of the Nolli map are unchanged, but the performance is clearly different. What are the relevant factors in this transformation? How do we analyze the complexity of the mechanisms that influence performance? What economic and political forces are at work in and around these trends? What can the role of the interior architect be in this new field of influence, beyond designing a husk? And how could we arrive at new forms of public interior today, on the basis of this knowledge? The studio will focus on urban interiors. 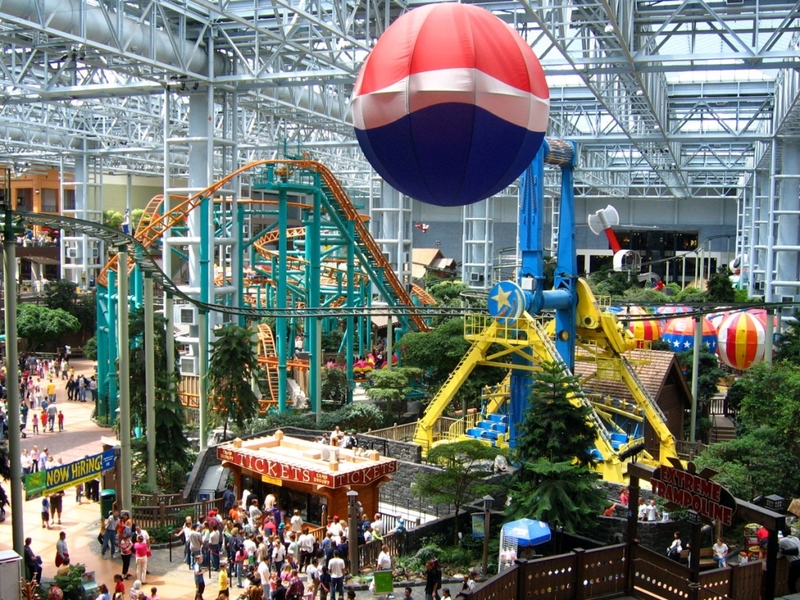 Over the course of history, urban interiors have gradually become large-scale, economic machines: airports, shopping malls, world trade centres, and amusement parks. These have become almost autonomous worlds, linked to infrastructure. In ‘The Generic City’, Koolhaas predicted that the city of the future would be an airport terminal. Still, the challenge now is to see how autonomous zones like this may nonetheless function as parts of the city, not in the last place because flow and fabric also determine economic value. Using Nolli as a source of inspiration, the studio will take a fresh look at urban interiors, and possibly develop a 21st-century concept of them. Not so long ago, the Schieblock was one of many disused office blocks in the Netherlands, until we made an alternative business case for converting it into an urban laboratory. Instead of two large companies, over forty companies are based there now, with premises ranging in size from 14 to 500 square metres. The design provides uniquely for numerous public functions for meetings and exchanges. In due course, the public will also be able to access the roof by climbing a vertical ‘street’, to enjoy the view from the vegetable garden there. The ‘Dépendance’ now serves as the sitting-room for the block, while the canteen is the central dining hall and the so-called Werkhotel provides the ultimate flex workspace. On the first floor is a space, close to the street, where people can work, hold meetings and come together in a flexible construction. The space can be reserved for any period of time − an hour, an afternoon, or a month – for up to 150 people. The space thus provides maximum flexibility in terms of the interior and its facilities. This is a 21st-century office landscape. The Dépendance is intended as a space in which to exchange knowledge and ideas; an interface between the building and the city, between individuals and institutions. In the course of time, the interior will be incorporated into a public space network that moves through the building. The end result thus becomes a building in a city, or a city in a building.